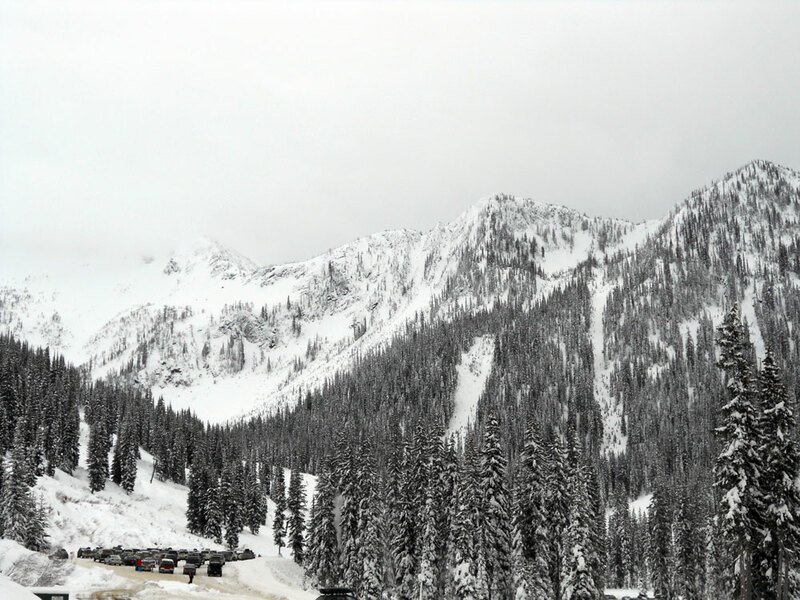 On our last full day in Nelson, the four of us took a short drive up to the Whitewater Ski Resort, which offers downhill skiing and snowboarding, as well as cross-country skiing and snowshoeing trails. The trails were very beautiful and we only encountered one other person. We wound our way through the woods, past partially exposed streams and snow-laden trees. A beautiful, peaceful, magical place. 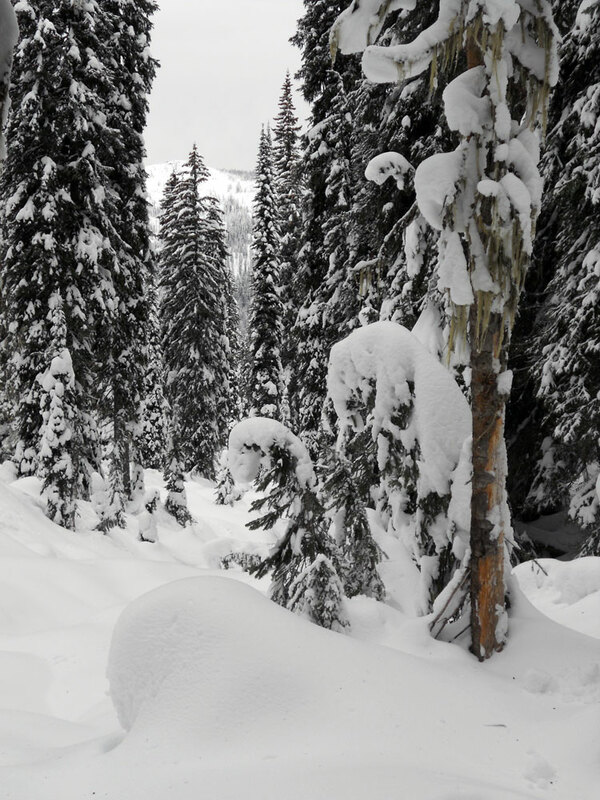 Whitewater Ski Resort, just a 20-minute drive from Nelson BC. The heavy snow turned the smaller trees into giant fiddlehead shapes. 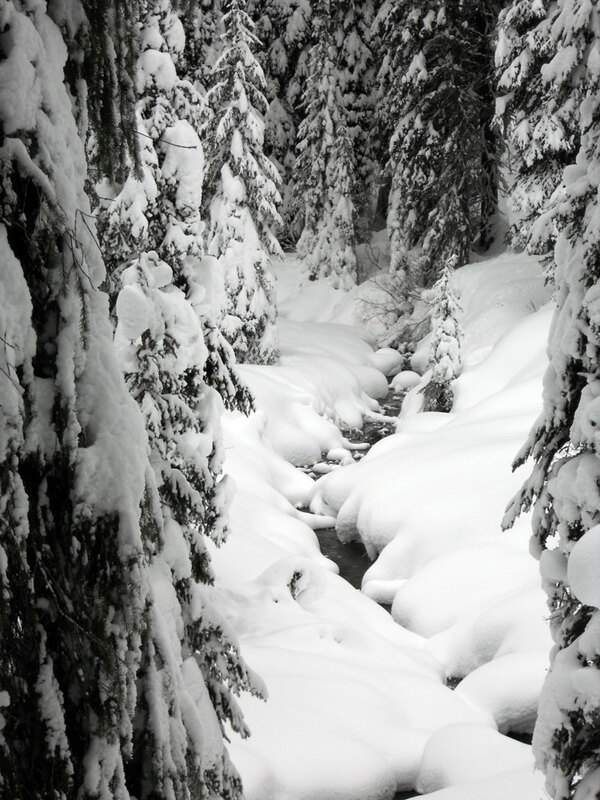 A little stream trickled away under the snow. There were spots where animals had jumped across it and scampered away through the woods.